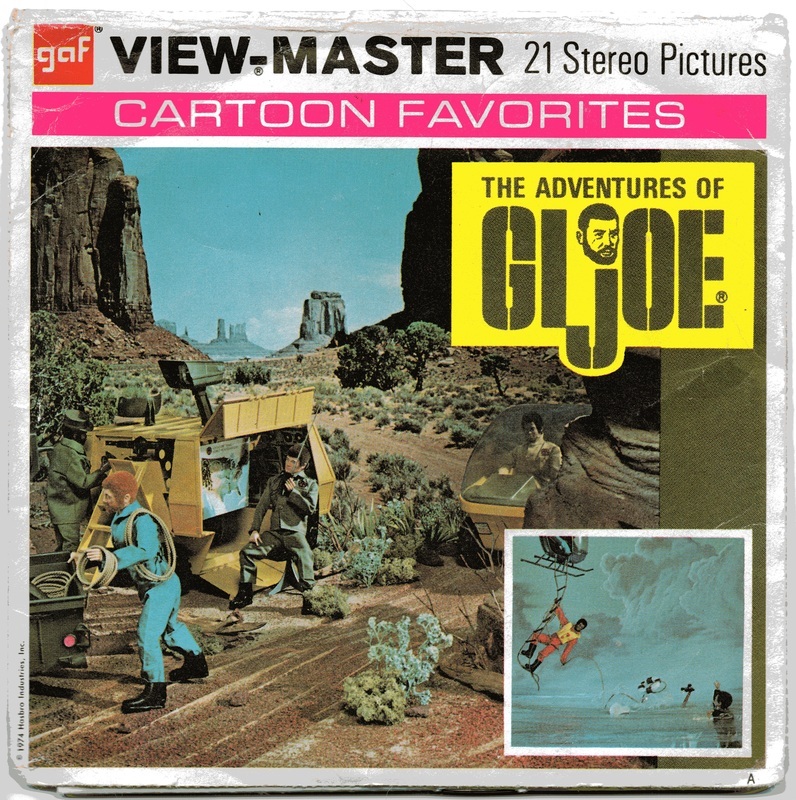 The licensed GAF View-Master reels are favorites with Adventure Team collectors. Available in both standard and talking versions, they are interesting in that they offer distinct identities to AT members, including Sarge, an Air Adventurer, Greg, a Black Adventurer, and Joe, a Man of Action. Reel One: "Rookie to the Rescue!" Here a sample of the great diorama photography, courtesy of Amy & Aaron Bias. Check out more of Amy's Viewmaster scans on her blog at Viewmaster 3-D Spectacular now in 2-D! The audio is recorded from the talking reel. Hopefully we will get the next two reels up on the site soon! Note the repainting of accessories for the photos. 4. ... "A prospector has fallen into a crevice and is injured!" 5. The Adventure Team sped to the rescue of old Zeke. 6. Greg and Sarge flew down into the hole and gave first aid. 7. Rescued, Zeke proudly showed "shiny rocks" he had found.